As a pregnant mother, you want the very best for your baby, both before and after birth. Hearing the word “breech” at one of your regular checkups may be enough to send you into a panic. You know from talking to friends and watching movies that babies shouldn’t be in a breech position, but what exactly does it mean, and how can it be resolved? Here’s everything you need to know as an expectant mother. It’s easiest to give birth when your baby is positioned head-down in your body. Most babies automatically move into this position a few weeks prior to birth so that their heads move closer to the birth canal. In about 1 in every 25 full-term births, the baby isn’t able to achieve the head-down position. Instead, the baby sits buttocks or feet first in a position we call “breech”. Though doctors don’t fully understand why some babies become breech, risk factors include subsequent pregnancies, pregnancies with multiples, and an imbalance of amniotic fluid in the uterus. How Do Doctors Know My Baby is Breech? As you advance through your pregnancy, your doctor appointments become more frequent. A few weeks prior to your due date, your OBGYN will place her hands on your lower abdomen to location your baby’s head, back, and buttocks. Your doctor can usually identify your baby’s position just from this simple exam. Special X-rays or an additional ultrasound can confirm breech presentation. While babies can be born from the breech position, it’s not recommended. Birth defects and complications have a higher risk of occurring, so doctors prefer to turn a breech baby between the 32nd and 37th weeks of pregnancy. There are a few different methods to turn a baby, including the Webster Technique. Renowned chiropractor Larry Webster developed this technique to use chiropractic techniques to reduce stress on a pregnant woman’s pelvis. This helps relax the uterus and surrounding ligaments, which in turn makes it easier to naturally turn a breech baby into the correct position. According to the Journal of Manipulative and Physiological Therapeutics, the Webster Technique has an 82% success rate and is recommended in the 8th month of pregnancy. 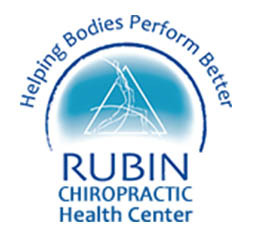 If you want to resolve your baby’s breech position as safely and painlessly as possible, call (727) 351-8304 to schedule an appointment at Rubic Chiropractic Health Center in St. Petersburg, Florida.